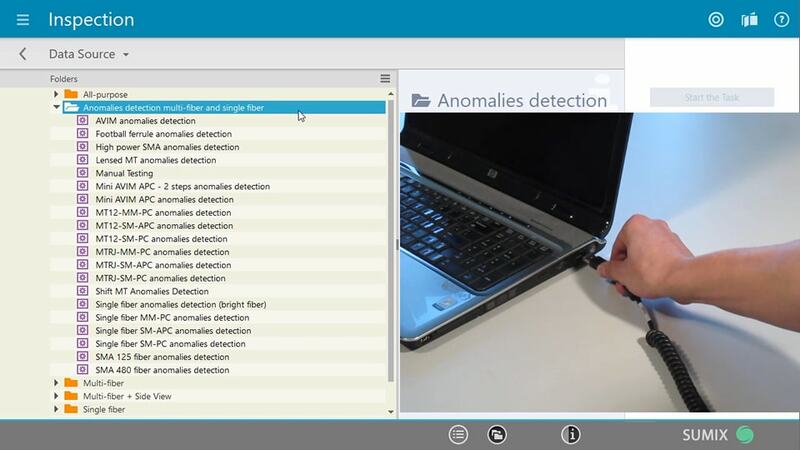 You can check the version you have in Menu › About MaxInspect™ section of the software. Sumix provides an one-year warranty for SMX-Scopio probes and their accessories. If the product was damaged by the one of the reasons indicated above, Customer may still replace defective product after the previously made payment (the cost of the replaced product in this case is negotiable and depends on the level of defect of the returned product). What is included into a standard SMX-Scopio digital probe kit? A standard kit includes one probe of a chosen model and one case for device transportation. It also includes MaxInspect™ software which is usually supplied via email. What is included into a standard SMX-Scopio-A analog probe kit? A standard SMX-Scopio-A kit includes one SMX-Scopio-A probe, a TFT display with accessories (a wristband, bench stand, charger, AV cable) and one case for device transportation. What is the warranty period of SMX-Scopio probes? What are system requirements for MaxInspect™ software? Where can I find MaxInspect™ User Guide? How can I connect the digital probe to my PC? Does the probe need an external power supply? Please connect your probe to your PC via USB2.0 or USB3.0 port (SMX-Manta+ only works on USB3.0). No external power supply is needed as the probe is charged from the PC. How can I use the analog SMX-Scopio-A probe? You can use it together with a TFT screen for visual inspection of fiber optic connector end-faces. What is the difference between SMX-Scopio and SMX-Scopio-B probes? Both models are digital probes used for automatic inspection of fiber optic connector end-faces. The Scopio-B probe has a knob on the device body. You can start connector inspection by pushing this knob instead of using the computer mouse to push the inspection button in the software. What is the difference between SMX-Manta and SMX-Manta+ probes? Both models are digital probes used for automatic visual inspection of fiber optic connector end-faces. The SMX-Manta+ probe has a autofocus feature. No need in manual focusing. Just push the button on the top of the Manta+ and get result. Why do I need tips for inspecting fiber optic connectors? Why do I see only a part of connector end-face? 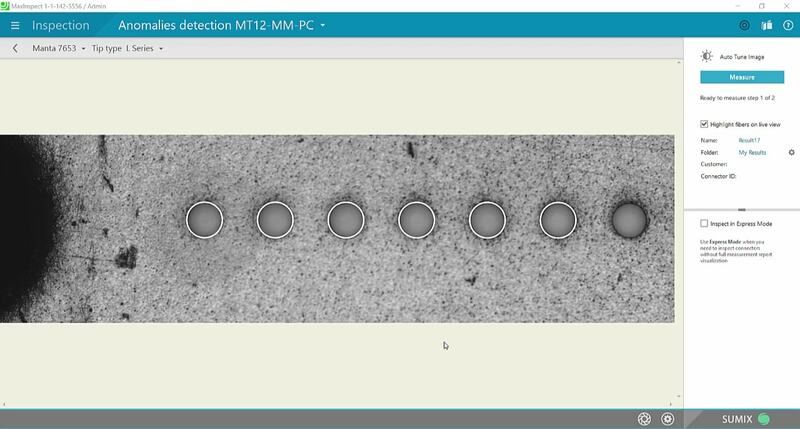 You may try increasing field of view by setting bigger viewport size in the MaxInspect™ software. Auto Tune Image button adjusts the viewport size automatically. What standards are used for Pass/Fail criteria in MaxInspect™? MaxInspect™ Pass/Fail criteria are based on IEC standards for different zones A, B, C and D on the connector end-face. These criteria are stored in presets. We can provide a detailed reference upon request. SMX LightSpeed allows you to define your own Pass/Fail criteria by creating new presets. I need to print out measurement results. Is there an easy way to do it in MaxInspect™? You can easily print measurement results using reports in MaxInspect™. You can save results in Excel or HTML formats and store them for future reference. You can define your own location for storing inspection results.